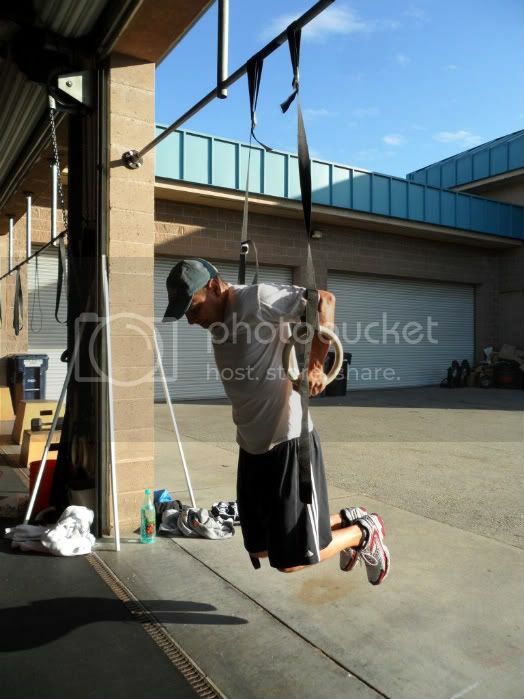 Frank Ives working his ring dip, looking strong.The movements in most Crossfit workouts complement each other. Today for example you had three exercises, all different in their movement patterns (pull, push and squat). The movements all complement each other in a way that creates a complete body workout and effective program. *Complete set of back squat - rest 30 seconds and complete set of muscle ups or pull ups and dips - rest 1 to 2 minutes. Repeat until back squats and muscles ups are completed.